One of the most formidable situations a human could endure occurs when personal challenges coincide with external upheaval. Think the birth of your first child right as the future of America crumbles. 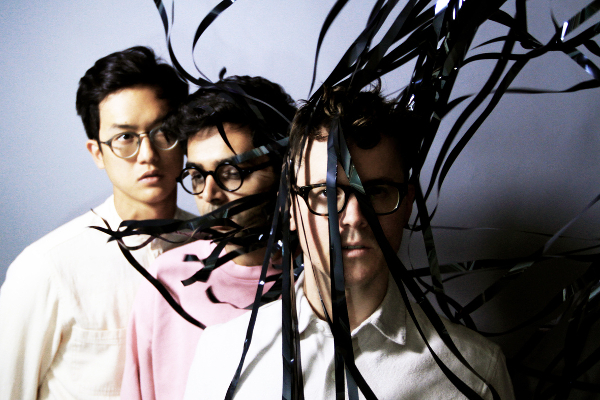 That's what Ryan Lott, known to most as Son Lux (alongside the now-tenured guitarist Rafiq Bhatia and drummer Ian Chang) has had to tolerate over the past year or so. What'll be the status of his son's future when he, in some small amount, feels responsible for the potential collapse of modern society. As we've seen with Tune-Yards (I can feel you creep), Fever Ray (Plunge), LCD Soundsystem (American Dream), U.S. Girls (In A Poem Unlimited), Jeff Rosenstock (POST-), The World Is A Beautiful Place (Always Foreign), and many more, there has been no shortage of reaction in the Indiesphere towards the global repercussions of 2016's presidential election. Where Brighter Wounds differs from the flock lies in Lott's genuine worry that's as personal as it is embracive. On the strained opener 'Forty Screams,' Lott wails in a state of dismay. "I had wanted a better world for you," he ushers to his son before iterating that "if I can't bear to see it through, can you?" This, on a song where the future is personified as a dark cloud and the morning cast with a noose around the sun doesn't exactly set Brighter Wounds off on the most hopeful of notes. But that's reality, and Lott wants us to be gripped by that anxiety. This then corresponds Brighter Wounds more so with Son Lux's beaconing work Lanterns than their latest affair; 2015's Bones. Whereas the latter sought to break apart and weaken Electronic instrumentation as a way to visualize the fragility of the human condition, Lanterns cared for a concept concerning itself with the dubious efforts of humanity to save (and eventually fail) themselves. Much like Son Lux's past, the music of Brighter Wounds relies heavily on the tension between organic and mechanical, something the now-composer Lott has had experience toying with through movie soundtracks. Many songs here, like 'Forty Screams' or the ponderous 'Labor,' could be envisioned as complimentary pieces to the bleak lulls in a dramatic film. That is however to needlessly curtail the successes of Son Lux's production, which has seen constant refinement within Lott's previously-held minimalism. This time around, things get ugly. Much of that can be seen in Chang's phenomenal work on the drums, just one striking improvement over the pair of outtake EP's Stranger Forms and Remedy. The first instance of his determined force can be seen on lead single 'Dream State,' a track that's admittedly quite sterilized with the millennial whoop brought on by acts like Coldplay and Imagine Dragons. 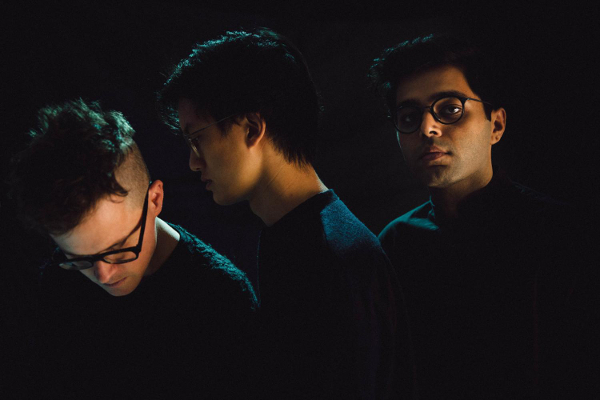 However, where Son Lux differs is through sheer power, especially in 'Dream State's' final third as Chang and Bhatia relentlessly compete in a competition of who can pummel the other more, all the while Lott's string set and choir aim to set things right. No other track shows Chang's improvements more than Brighter Wounds' best; 'Surrounded.' It's basically a glorified drum solo, with each companion piece playing second fiddle to the thunderous percussion on full blast. The final climax, all Chang, is a riotous form of self-release as the drums begin to crack, crumble, and detonate around him. One side note about 'Surrounded,' Lott wearily proclaims that "I'm not my father's son," which not only plays into the hand of his newborn child, but also acts as a direct callback to when Sufjan Stevens uttered that line with an exhaustive shriek on 'Alcohol,' the grand finale to Sisyphus, his collaborative project with Serengeti and, you guessed it, Son Lux. A must listen for those who've always wanted an Art Pop / Hip-Hop crossover. Brighter Wounds isn't without criticism though. Apart from a few faceless duds, like 'The Fool You Need' and 'Aquatic,' perhaps the weakest aspect of Son Lux's fifth LP comes in the form of Lott's singing. His shaky falsetto has always been a contentious point for newcomers, one that relies on theatrics over sensibility. Not only does that much remain for Brighter Wounds, it's taken up a notch, which, to me, lessens the personal tragedy unfolding. More often than not it's excessive, as seen on 'Labor' and the Lott-only 'Young,' a track that somehow sounds comparably to Bjork's quivering cry on Utopia. It worked for Lanterns because, at the time of release in 2013, that LP was little more than a fantastical post-apocalyptic concept, not a conceivable look at an all too real future. Interestingly enough, both projects (Lanterns and Brighter Wounds) finish with the same perceived hope for humanity. Previously, it was the startling explosion of noise with 'Lanterns Lit,' this time the same effect is achieved at 'Resurrection's' climax. However, much like the final two tracks of U.S. Girls' In A Poem Unlimited, 'Poem' and 'Time,' the swing towards optimism from pessimism feels disingenuous, as if Lott's still not sure we can rise from the ashes. "Watch as the silence and protest fails us" he cries, "can we be this ugly and still have a beautiful life" he contemplates. The future he so fears still hangs in the balance. The wounds may be brighter, but the cure doesn't seem any closer.